The off-tank steps up for the Gladiators’ academy team. Victory is often a team effort, but for some players, it’s a cross-team effort. 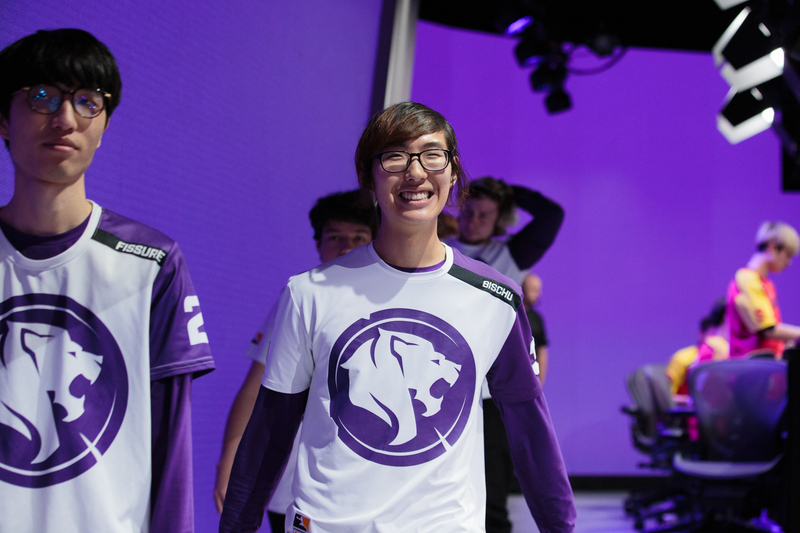 Los Angeles Gladiators off-tank Aaron “Bischu” Kim has accepted a temporary two-way contract to play for the Gladiators’ Overwatch Contenders team, Gladiators Legion. Gladiators Legion is an “academy” team in Overwatch Contenders North America, the level of competition below the Overwatch League. A two-way contract allows Bischu to play for the Gladiators Legion on a temporary basis while still playing a set amount of games for the Overwatch League. The contract system was intended for Contenders players to move up to the league, but Bischu is doing the Gladiators Legion a service. After the Atlanta Reign picked up off-tank Nathan “frd” Goebel from the Gladiators Legion, the Contenders team was left without a replacement. Bischu has also had his share of unfortunate setbacks this season. He missed the majority of stage one due to illness and has spoken at length about his battle with ulcerative colitis. With this contract, Bischu can ease his way back into the game while helping out his academy team. “We’re lucky to have a player like Bischu who can help work to be a leader and mentor for our Legion players while still remaining a stalwart component of our main roster,” said company founder Rob Moore. The Los Angeles Gladiators have been playing off-tank Kang “Void” Jun-woo in Bischu’s absence. The Gladiators Legion’s next game is April 8 at 8pm CT against the Mayhem Academy. Overwatch Contenders games can be viewed on the official Contenders Twitch channel.